Phog Lounge presents The Unquiet Dead, R.Y.E and George Manury for a Christmas Eve celebration of music and friends. Whether you're into the religious experience, the Santa experience or somewhere in between, Christmas is always a great time of year in Windsor because so many old friends come home for the holidays to visit family (by day) and rekindle friendships at night. 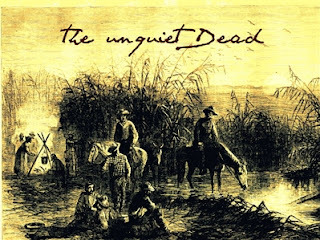 This Christmas Eve, the unquiet dead want to have a special Christmas Eve performance in the intimate walls of Phog Lounge. Just us and about 60 friends. There is also a collection box at Phog accepting donations of used winter clothing, new socks & underwear, non-perishable/fresh food items, all being gathered for the Windsor Youth Centre.